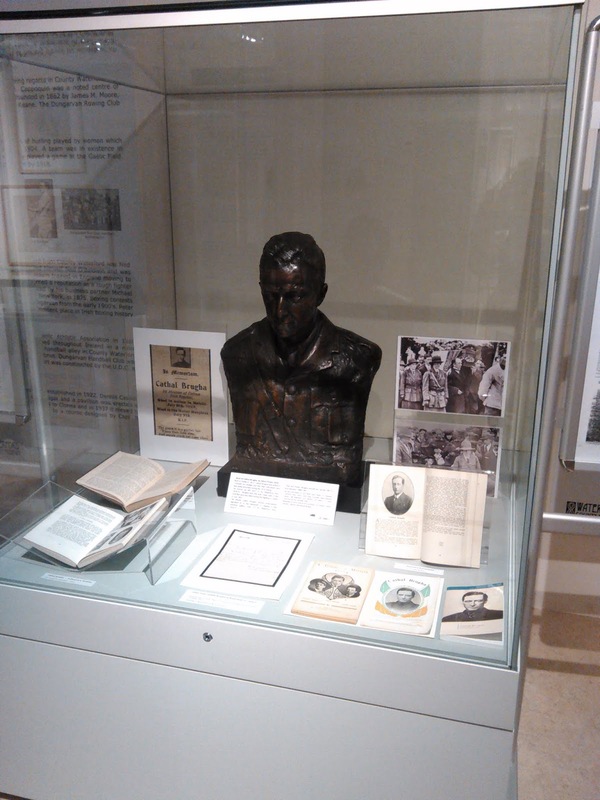 The museum currently has an exhibition on Cathal Brugha which will be on display for the next two weeks. The exhibition includes a bronze bust of Cathal Brugha that was given to us on loan by Waterford Museum of Treasures. 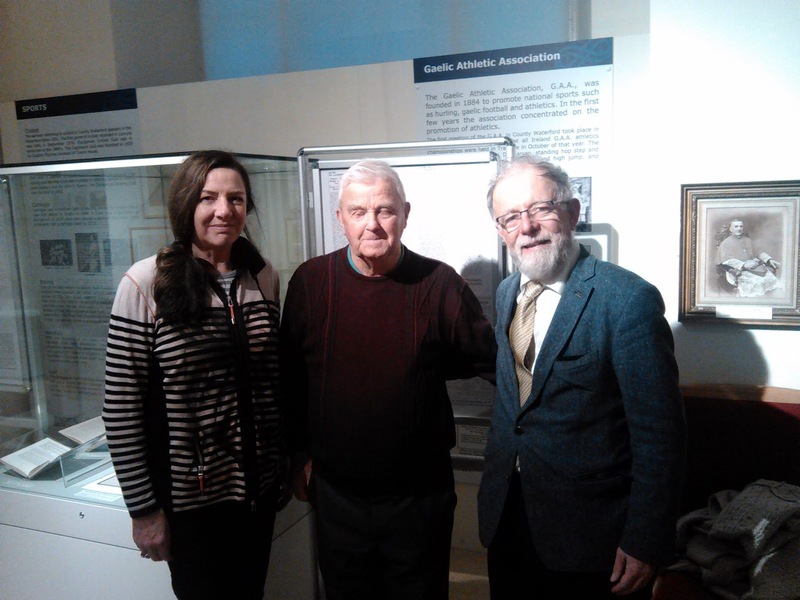 Catherine & Cathal McSwiney Brugha pictured with Nioclás Ó Gríofáin (middle).